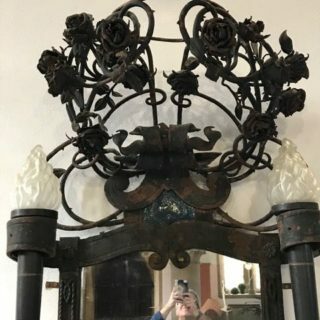 A unique, and almost certainly a commissioned piece, Art Nouveau style cast iron mirror of a height of 2.50 metres. 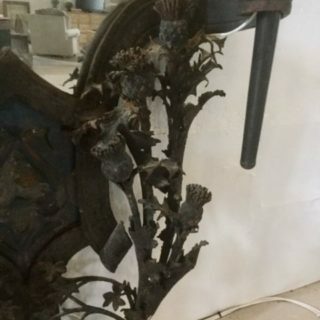 Towering above a spectacular explosion of iron thistles at the foot of which shamrock is growing, is a head dress of wonderful iron roses. 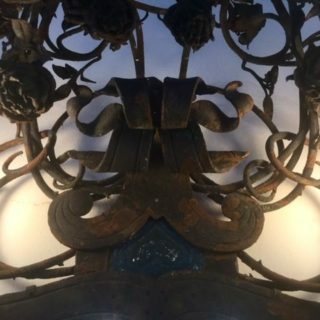 There are also 2 large shield shape enamelled plaques of Arts & Crafts influence. 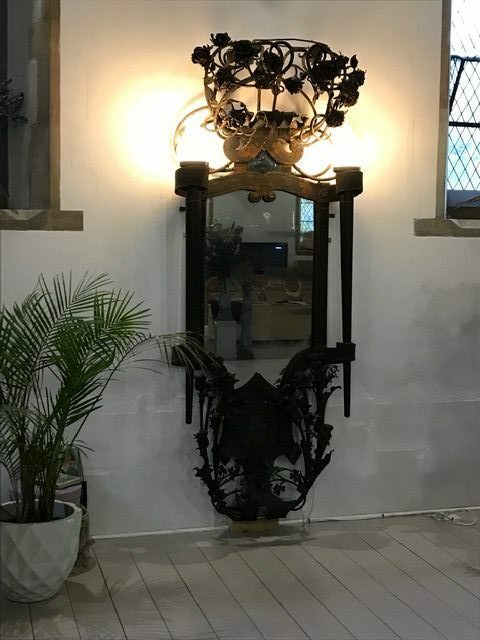 We believe that this amazing mirror might have been manufactured by one of the Scottish Schools of Art in the late 19th early 20th Century to adorn the hallway of one of the grand houses, the theme uniting Scotland, Ireland and England within its design. 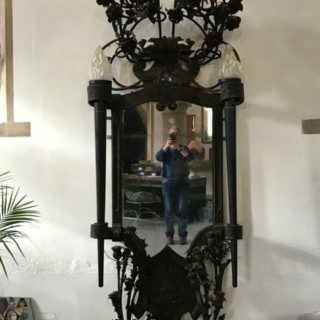 The mirror was later fitted with 2 flambeau lights.